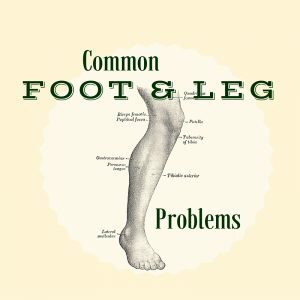 The Village at Cedar Hill is pleased to host the next presentation in their popular Speaker Series, “Common Foot and Leg Problems” presented by James Wilton, DPM, Valley Regional Hospital, Claremont, NH. Dr. Wilton is a foot/ankle/lower extremity peripheral nerve surgeon practicing at the New England Peripheral Nerve Center at Valley Regional Hospital in Claremont, New Hampshire. He relocated his practice from Portland Maine where he was a surgeon at New England Foot and Ankle Specialists which was a division of Mercy Hospital. Professional interests include being the surgical course director for the basic and advanced peripheral nerve surgery courses for the Association of Extremity Nerve Surgeons of which he serves on the Board of Directors and was the past president in 2006. In 2011 he was given the Association’s highest award, the Jules Tinel M.D. Award for the scientific advancement of knowledge regarding human peripheral nerve disorders. For the past 14 years Dr. Wilton has directed a surgical mission team providing peripheral nerve surgery and pediatric orthopedic care in Ecuador, South America. Currently Dr. Wilton is the medical staff president and chairman of the credentials committee at Valley Regional Hospital. He also directs wound care services and has clinic hours Monday through Thursday. Following the presentation there will be time for questions or comments. Refreshments will be served. Admission is FREE. Space is limited – Reservations are suggested. To RSVP, Call 802-674-2254. Visitors are invited to tour the expanded North Village, with 20 new Independent and Assisted Living Apartments and a State-of-the-Art 20-bed Memory Care Center. Cedar Hill staff will be available to provide additional information. The Village at Cedar Hill Speaker Series will continue throughout 2016, with presentations on Foot and Leg Problems, Elder Law, Medicare, and Estate Planning in the coming months. Cedar Hill Continuing Care Community comprises Cedar Hill Healthcare and the Village at Cedar Hill, a family-owned & operated senior community, providing a supportive and comfortable home to seniors in all stages of life. 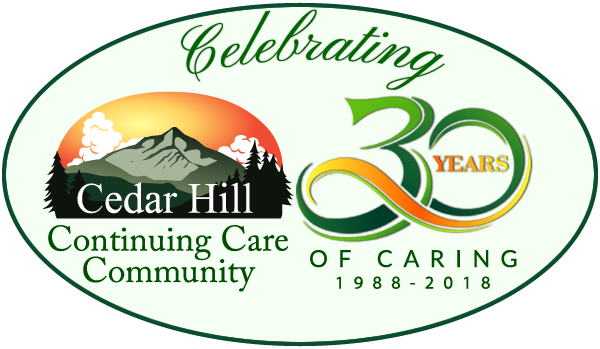 Cedar Hill was founded in 1988 by Mary Louise Sayles, a registered nurse and licensed nursing home administrator with many years of experience in long-term care administration. Mary Louise’s daughter Patricia Horn, who is also a licensed nursing home administrator, is Chief Executive Officer for Cedar Hill and the Village at Cedar Hill.